In a blending device of your choice, combine the hot peppers, water, vinegar and vegetable oil. Blend until peppers are mostly minced. 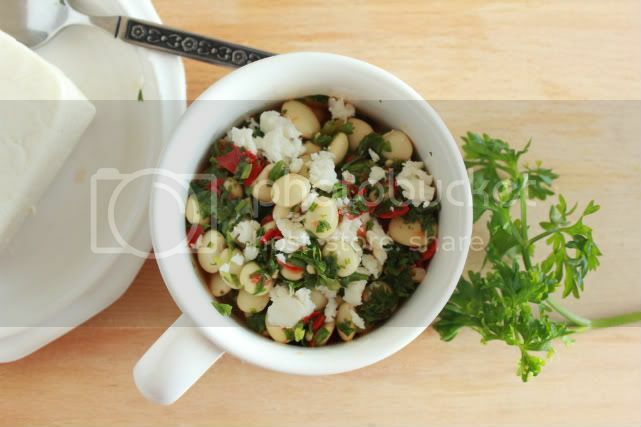 In a bowl combine the lupini beans, the hot pepper blend, scallion, cilantro and parsley. Prior to serving, add the grated queso fresco and mix thoroughly. Serve as a topping for baked potatoes, egg omelets, etc.